Everything about Halloween screams PLAY! 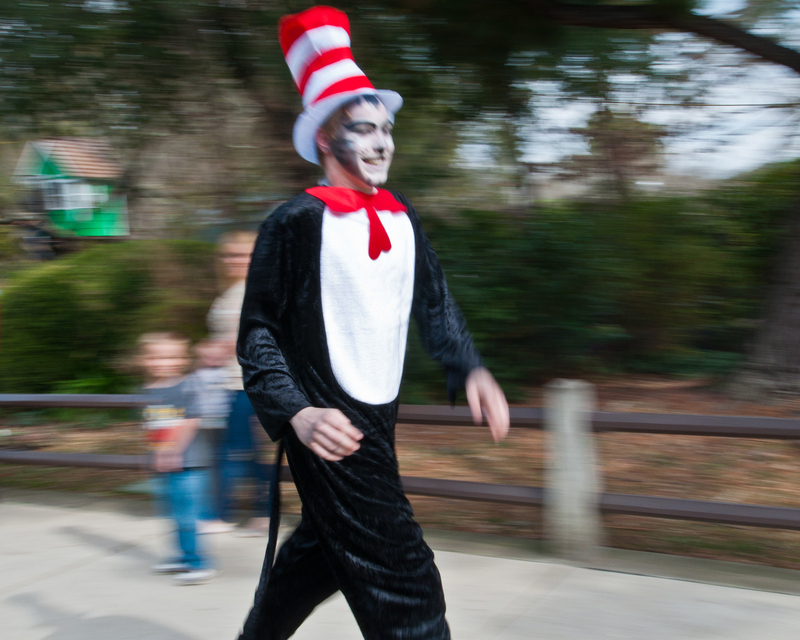 Decorating, costuming, running through the streets at night… no wonder Halloween is a favorite holiday for children. It’s not just the free candy. It’s the playfulness of the holiday that delights children and adults alike. There is something about putting on a costume and assuming a different persona frees us from our day-to-day cares and gives you a new outlook… and that something is play! Fairytale Town holds the proof. Our Halloween event last weekend attracted more than 5,500 people. Nearly everyone came in costume. They all enjoyed the incredibly good weather as they played games, made crafts, showed off their costumes – and went trick-or-treating, of course. Our incredibly talented staff had fun preparing the park for the extravaganza. 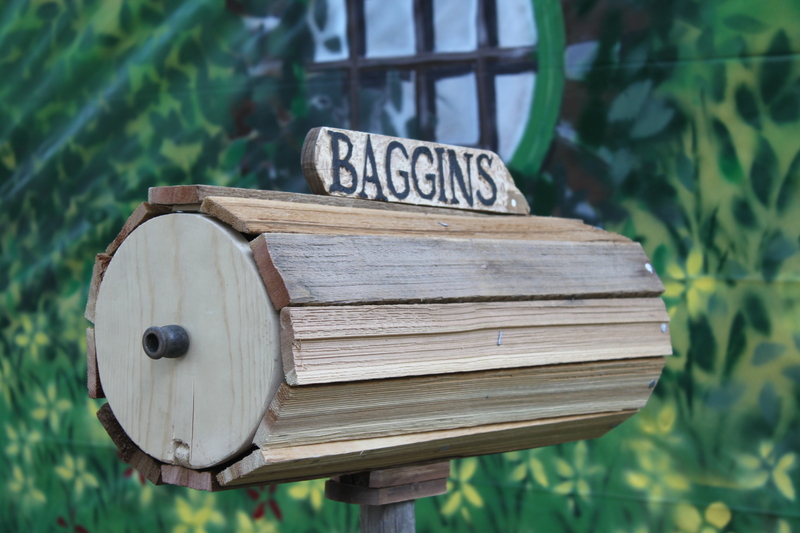 Each year we choose a theme for the event and this year’s was ‘The Hobbit.’ Planning began in early summer, and from Labor Day on, everyone pitched in to make papier-mâché figures, paint scenery or carve pumpkins. A couple of us even admitted it was a favorite time of year. And this was before the candy was delivered! So, it all comes down to play. 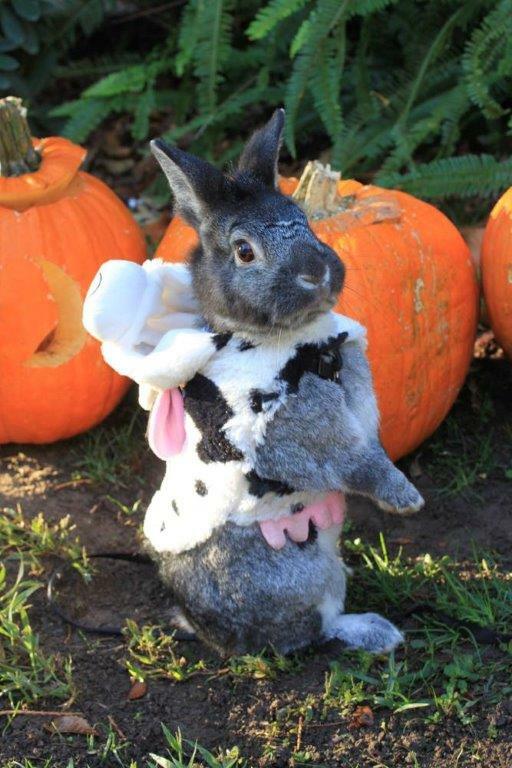 Tap into your playfulness when you go out trick-or-treating. The candy is sure to taste better – and may even have fewer calories if you do! September was a busy month at Fairytale Town, kicking off with the first ever Sacramento Play Summit, and concluding with our annual Children’s Book Festival. 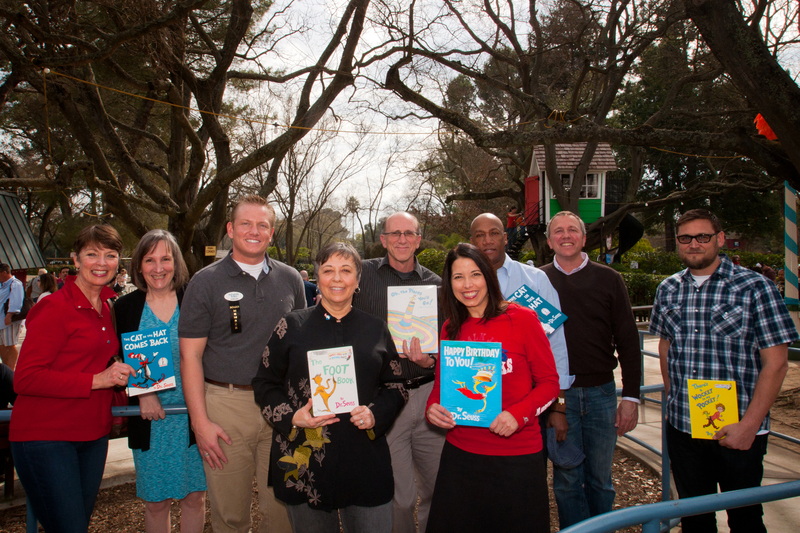 We were thrilled to partner with ScholarShare College Savings Plan and the Sacramento Public Library on both programs. In my last post I wrote about the Play Summit. I am happy to report it was a success! More than 120 attendees enjoyed three keynote speakers and seven different breakout sessions. Survey feedback on the Summit was extremely positive with 100 percent of respondents saying they would attend again. Attendees told us they found the information they received both inspiring and useful, and 20 individuals also indicated interest in forming a Sacramento Play Coalition. Sacramento has joined the international play movement! Falling on the heels of our inaugural Summit was the 13th Annual ScholarShare Children’s Book Festival on September 28 and 29. The autumn weather was perfect for our outdoor reading extravaganza! More than 8,000 people participated in the program. They were able to see and hear 10 author/illustrator presentations and participate in hands-on literacy activities offered by 17 community organizations. On Saturday, sign language interpreters translated the presentations which added a new element to the Festival. The highlight of the Festival was featured author Sherri Duskey Rinker. A New York Times Bestselling author, Rinker delighted the audience with her story Steam Train, Dream Train – especially as she led the children in the group on a train ride together! Again, feedback from our audience, authors and community partners was very positive. Authors and community partners were impressed with the large number of attendees and the organization of the event, and the audience was delighted with the quality of the presentations and all there was to see and do while they were here. Fairytale Town continues to be a dynamic resource for families in our region! Sherri Leading the Steam Train! It is rewarding to know that ScholarShare College Savings Plan and the Sacramento Public Library – organizations dedicated to higher learning and education – recognize how critical play is to learning and reading. Fairytale Town and Sacramento are better places for their involvement. Now that September is over it is tempting to take a breather. But Halloween is just around the corner. This year, our Halloween program is themed on The Hobbit. Already I see signs of playful work to transform Fairytale Town into Middle Earth. More on that next time! The first-ever Sacramento Play Summit will take place on September 7. Not only is this the first time a conference of this nature will be held in Sacramento, it is also the first time we have held such a program off-campus, the first time we have partnered with the Sacramento Public Library on a stand-alone event, and – after 54 years of planning playful and educational programs for children – the first time we have planned a full-day program for adults. I was motivated to develop a play conference by my sabbatical two years ago. The play professionals I met abroad were incredibly inspiring, and the research I saw and seminars I attended were extremely compelling and powerful. I was delighted to find allies for play in the Sacramento Public Library and ScholarShare College Savings Plan. A public library and a college savings plan are not the most natural partners for promoting play, but Rivkah Sass and Zeny Agullana, the leaders of these organizations respectively, recognize how important play is to healthy child development, raising readers, and, as a result, to future success. We brainstormed about a conference last year, and our first formal meeting about the conference was held on February 14 – an auspicious date for a new partnership! We identified our goals and set out to design a meaningful conference for our community. And, nearly one year after our initial conversation and many months of planning we are ready to roll! The conference features three keynote speakers. Our morning keynote, Dr. Melissa Arca, will discuss play and health. 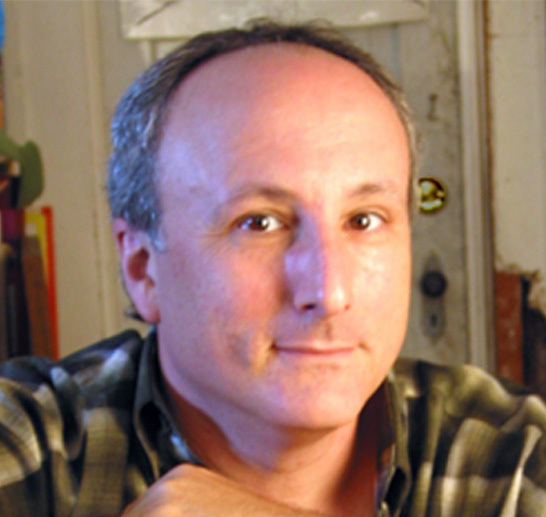 Our noontime speaker, author Barney Saltzberg will talk about the importance of play to the creative process. Our closing presenter, Myla Marks of Playworks, will address the need for meaningful play in schools and community settings. In between the keynotes there are nine workshops focused on four different tracks: play and literacy, play and the arts, play in parks and recreation, and adventure play. The workshop presenters include university professors, elementary teachers, parks and recreation professionals and literacy experts. There will be more than ‘talk’ about play, though! We will share morning coffee, lunch and afternoon snacks; take time to play in-between sessions; and, perhaps, end the day by setting up a coalition of people who want to promote play in our community. 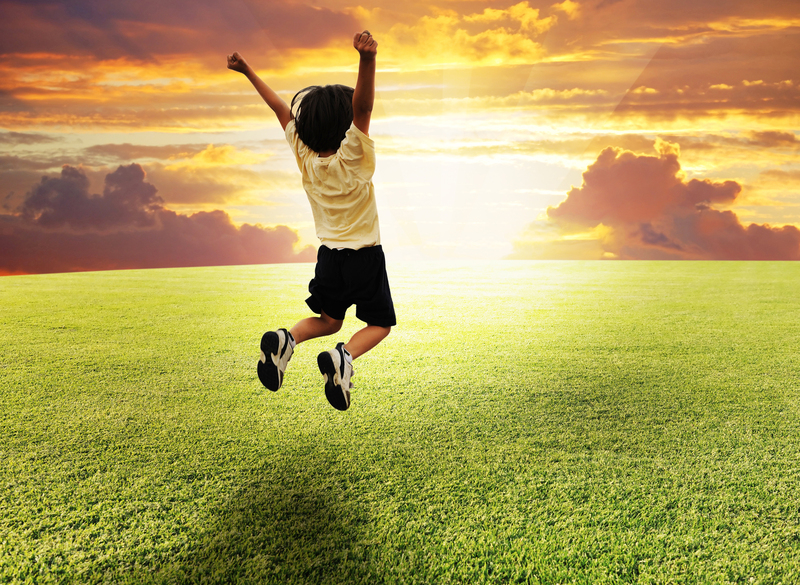 Play is as important to community development as it is to child development. In fact, play is the foundation for all learning and development – something that will be driven home when you attend the first-ever Sacramento Play Summit on September 7. Many years ago, a young visitor pointed out that the engine we have representing the story of The Little Engine That Could was actually the engine that broke down, not the little engine that could. The Little Engine That Could was blue, he said, not red, and had a wide smokestack, not a crooked one. His comment inspired us to include a new train in our master facility plan. In 2011, a donor made a $10,000 lead gift for the train. In 2012, plans were drawn and budgets were created. In 2013, we raised the rest of the funds needed to build the new train and construction began in July. 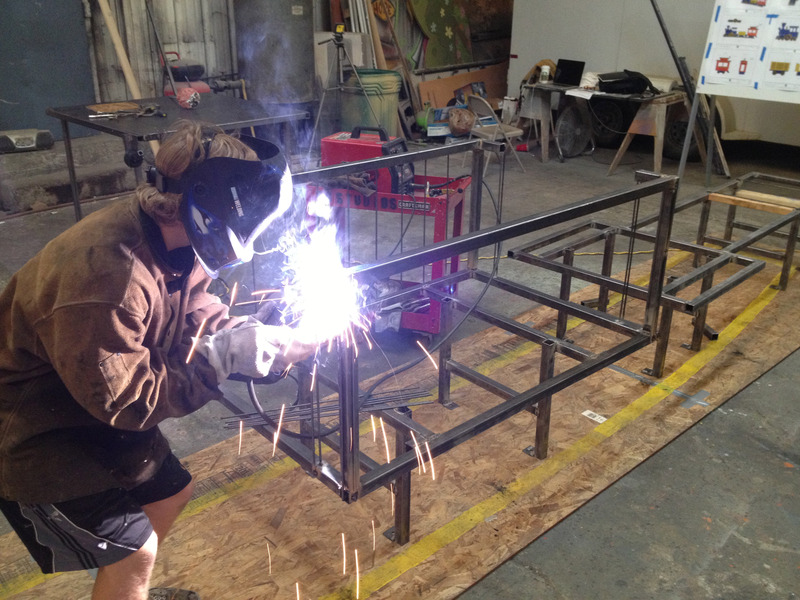 A crew of artists fabricated the train in an off-site studio. Meanwhile, the crew at Fairytale Town prepared our site to receive it. The ground was excavated and a concrete pad was poured. The existing red train was brightened up with fresh paint. The new blue engine, coal car and caboose were transported to Fairytale Town on July 19 and put in place. Once secured, another construction crew came in to pour playground surfacing around the play set. This crew was artistic also – they made the surfacing look like train tracks on the section where the train sits. 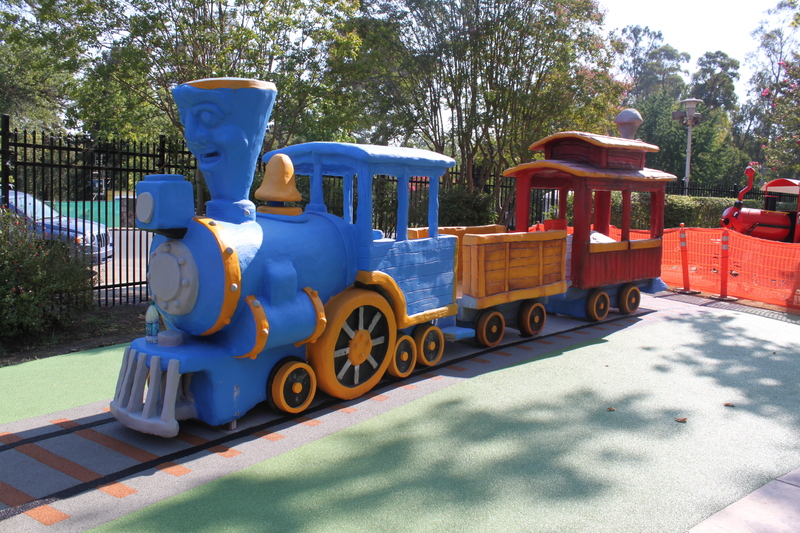 Once the playground surfacing cured, the Fairytale Town and artist crews returned to add the finishing touches. I wish I knew how to get in touch with the child who inspired us to add the new train. I think he would be surprised to know that hundreds of people have been involved in making our The Little Engine That Could play set more true to the story. Thousands more will become involved when we open the new set in mid-August and they are able to play imagine themselves in the story. I hope that somewhere, a young man recognizes that his childhood comment was taken seriously, and is thinking happily to himself: I thought they could, I thought they could, I thought they could. I don’t know how, but time seems to slip through my fingertips these days. When I began this blog in 2011, I was away from my ‘normal’ life and was experiencing so many new things it was easy to post on a regular basis. Now that I am back to ‘normal’ – and in the thick of our busy season – blog posts are not part of my ‘normal’ routine! This doesn’t mean we haven’t been busy with the work of play. Quite the contrary! Below are a few of the things we’ve been working on. 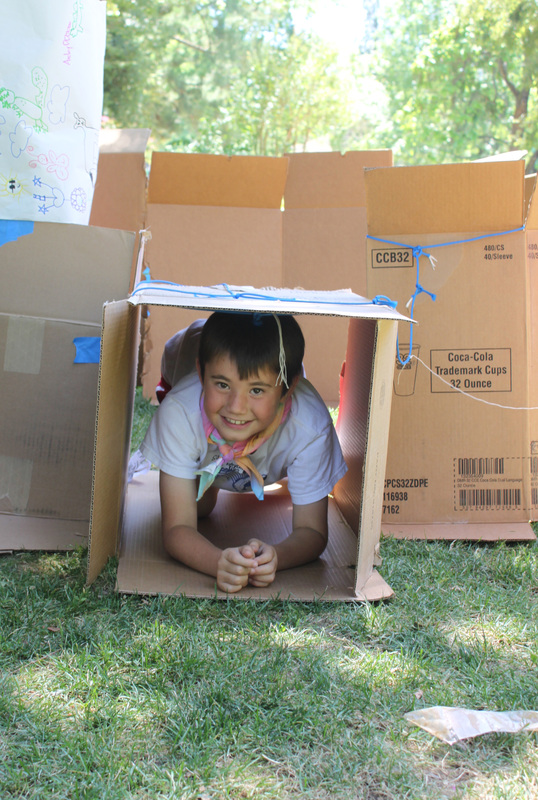 FunCamps: These weeklong day camps involve a lot of moving parts. Lesson plans are developed, special training is provided for camp staff, supplies are purchased, registrations processed and teachers are contracted for each of our 17 camps. Teachers and aides are exhausted by the end of the day – but they love getting to know the camp kids – and having the chance to play! A New Play Set – The Little Engine That Could: Set design, permitting, scheduling and fundraising for the new train set began late last year and continued into this year. We are scheduled to install the new set in late July! Mad Hatter Meets Mad Men: This new fundraising event was wonderfully creative and playful. Held in May, it was months in the planning and involved 29 volunteers, 19 sponsors, 12 food purveyors, 13 wineries, 42 raffle/auction donors and about 250 guests. Nearly all who attended wore mad Hats – many made them by hand! And, of course, all proceeds support everyday play at Fairytale Town. More to come on these and other projects as I get back into the swing of blogging! Play is a key component in the healthy development of young children. For the first time in many years, Fairytale Town was home to a health and wellness festival, thanks to the generosity of our health care partner, Sutter Children’s Center. Our organizations worked together over several months to determine the activities that would be valuable to our audience, and the partners we could bring in to offer information and guidance to children and families – in a playful way. Height and weight checks, dental screenings, and information on exercise, nutrition, diabetes, autism, education opportunities, day care, child abuse prevention and health insurance are samples of the topics the festival covered. 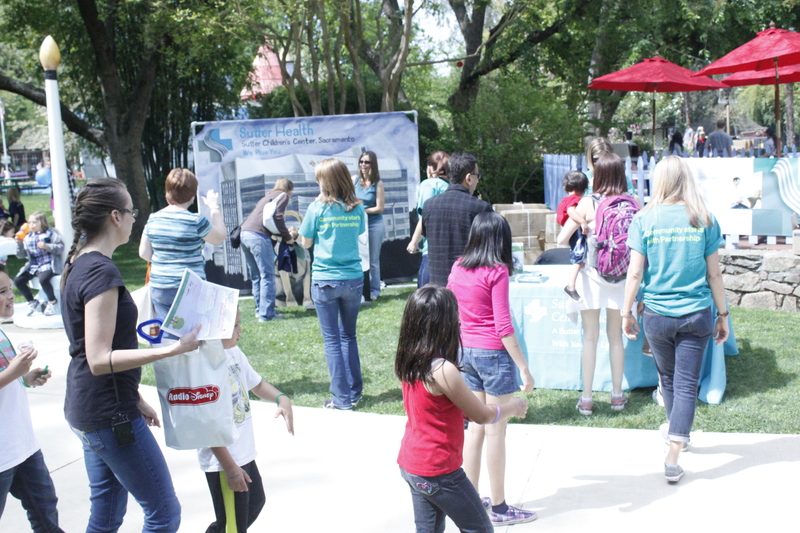 The Sutter Children’s Center Wellness Festival was held on Saturday, April 13. Children learned about nutrition and healthy eating by making a fruit smoothie while riding a bicycle and planting vegetable seeds in medical gloves to take home to start a garden. They learned about the importance of physical exercise while dancing on stage, navigating through an obstacle course, and getting training on how to run properly. While watching a live theater performance of plays written by youth, younger children learned about productive ways to spend leisure time. They learned about the importance of taking care of their bodies while getting height and weight checks and dental screenings by medical professionals. More than 25 community organizations worked with us on the wellness festival, in addition to Sutter Children’s Center, and nearly 5,000 people attended the one-day program. 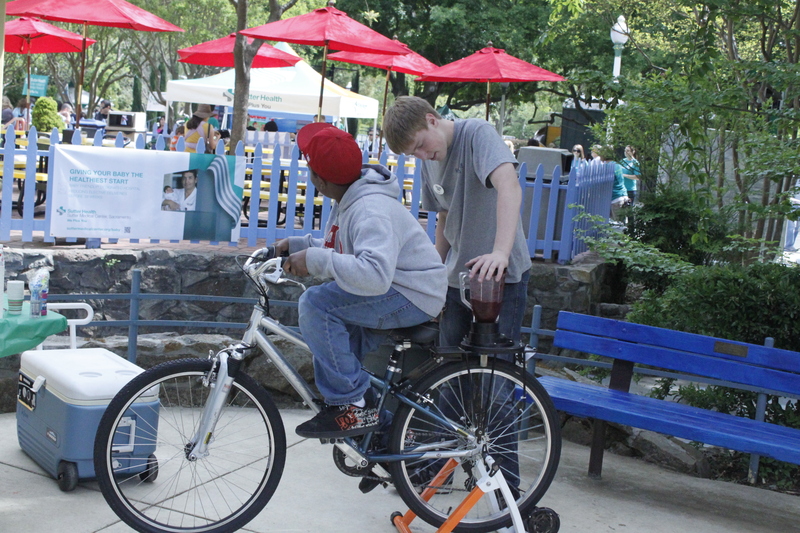 We received such positive responses from both our audience and partners that we are looking to do it again next spring. It was a good day of healthy play and learning at Fairytale Town. All who participated were inspired to continue playing – not just for fun, but for our health and well-being too! Dramatic play takes center stage at Fairytale Town’s Children’s Theater Festival and Puppet Festival. Theater is a great tool to inspire both imaginative and physical play in children – and adults as well. Theater is a highly collaborative and inclusive way to play. Writers, directors, actors, set designers, costumers, sound engineers, and backstage crew are all needed to put on a show – which gives everyone a chance to be involved. 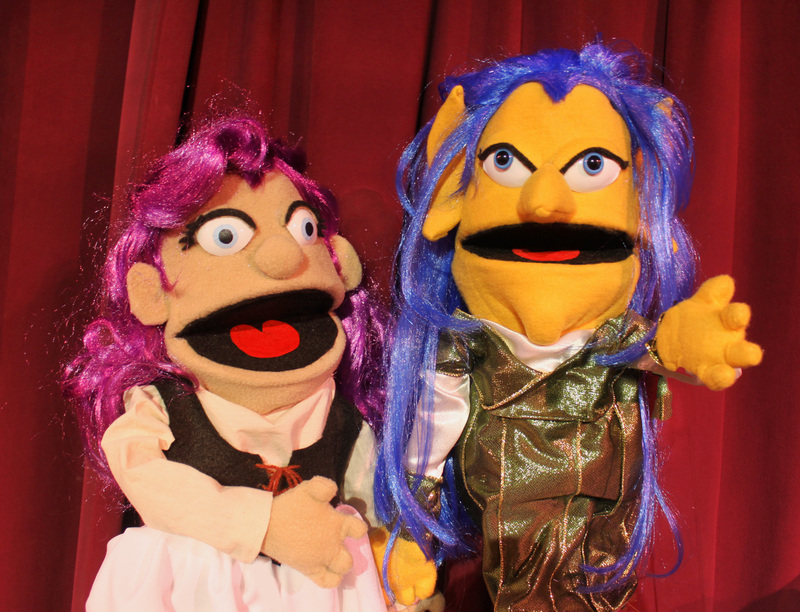 Fairytale Town’s Children’s Theater and Puppet Festival are a great way to introduce children to the magic of theater. The shows are fun, interactive and engaging. It is easy and affordable to attend. Each show is offered twice a day and you can purchase tickets at the door or at the front gate the day you attend. Tickets to the shows are only $2 in addition to park admission (and only $1 for members). 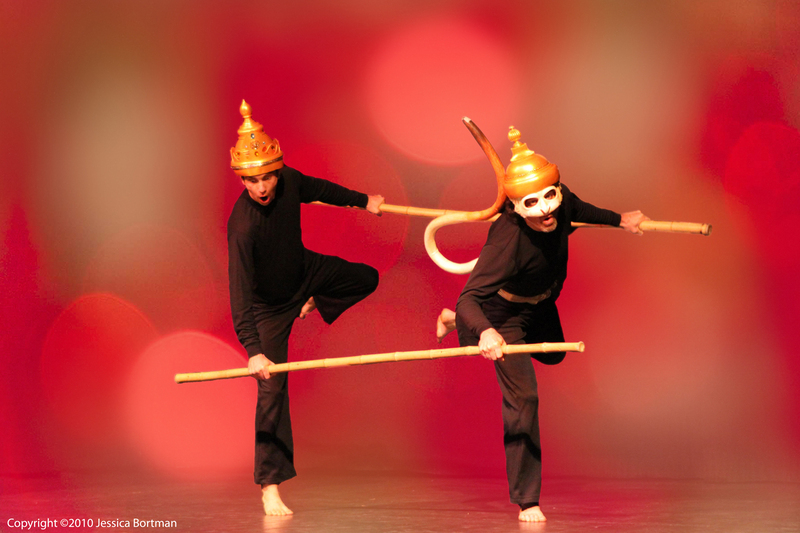 The companies featured during our Festivals offer a variety of stories and theater styles. 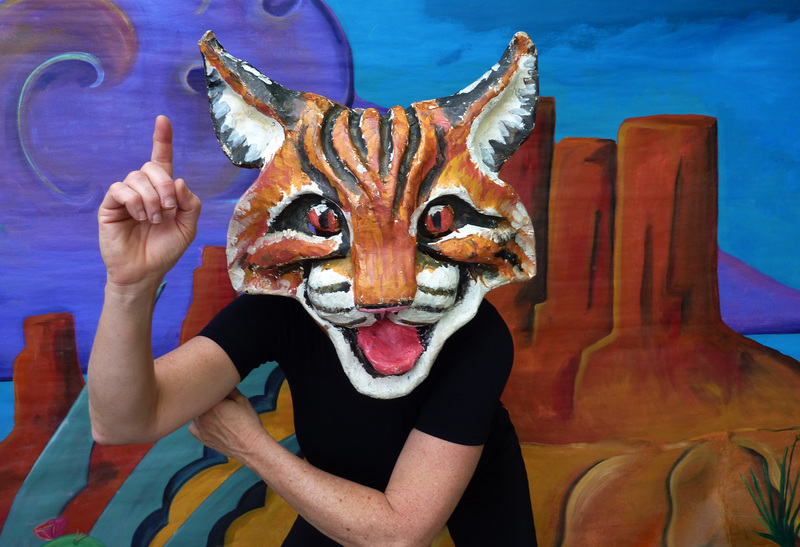 Fairytales, folk tales and original plays are brought to life with mask, movement, acting, puppetry, costumes, sound effects, lighting and sets. After the shows, it is wonderful to hear children and adults discuss character and plot, and to see them act out their own stories as they play throughout the park. The shows at Fairytale Town are great fun, but there is a serious side of the performing arts. Children who are involved in the arts have higher academic performance, lower drop-out rates, and greater community involvement. Like play, the performing arts foster critical thinking, communication skills, innovation and collaboration. 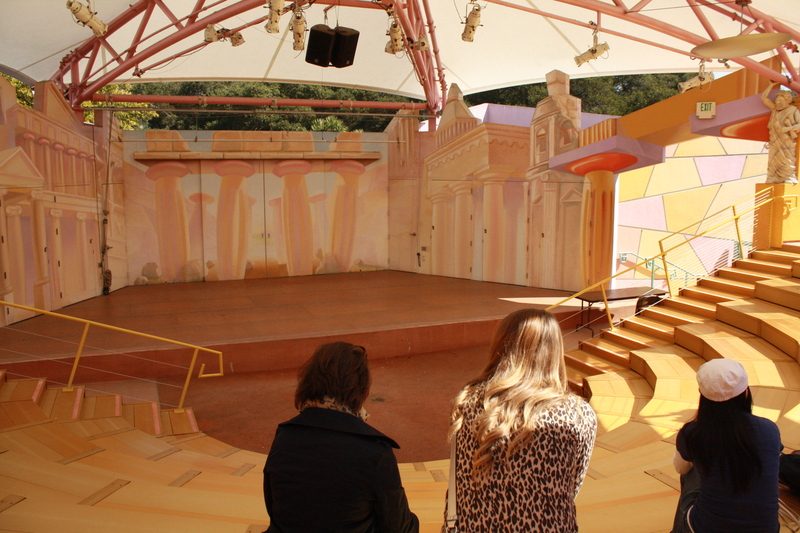 So add some drama to your life – come out to Fairytale Town see a play… and play on! 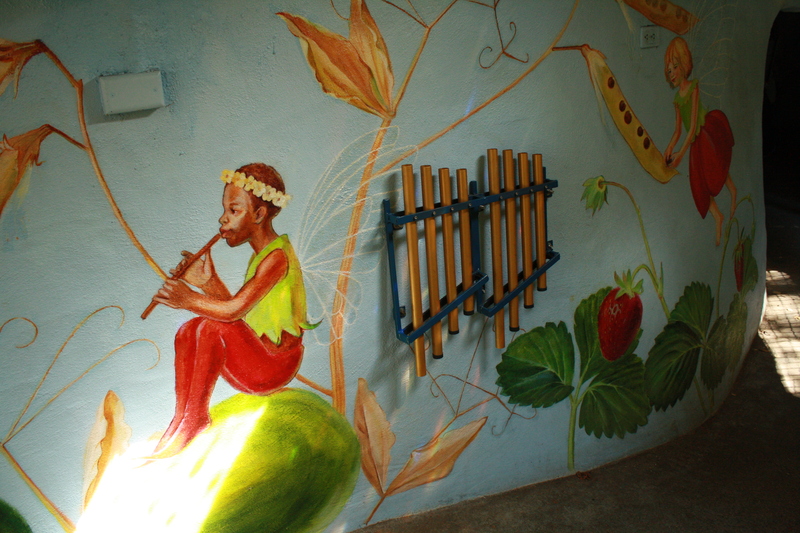 A flute fairy at Fairyland! To celebrate the last day of our winter hours when we are closed to the public for three days a week, a few of us headed out west to visit a couple of sister organizations, Children’s Fairyland in Oakland an the Berkeley Adventure Playground. Our first stop was Fairyland. After a tour through their 10-acre site, we shared lunch under the trees with our counterparts and friends. It was great to swap stories about birthday party packages, membership programs, marketing plans, general maintenance, food service, guest activities and weather issues. We were all impressed with their new theater facility. The stage could open up on one side for a lawn seating amphitheater, and on the other side for more traditional proscenium-style seating. We were jealous of the walk-in refrigerator and freezer in their cafe. And we loved their new Jack and Jill Hill! A small hill covered in turf, children spend hours rolling or sliding down it on large pieces of cardboard. The simple things are often the most fun! Entry way to adventure play! 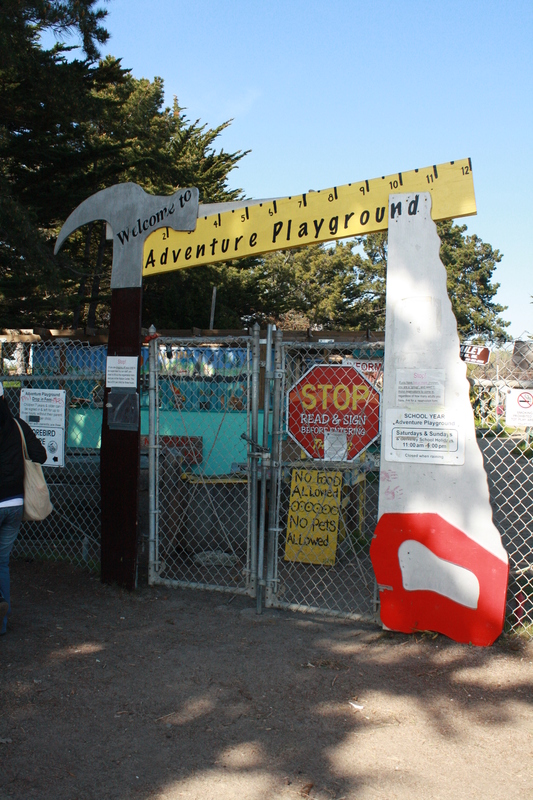 After lunch, we headed further west to the Berkeley Marina where we got a brief history and in-depth tour of the Berkeley Adventure Playground. It was the first time anyone (besides me) had experienced an adventure playground, and all were amazed. It is such a surprise to enter an adventure playground because things are higgledy-piggledy rather than neat, organized and padded. It is a magical environment nonetheless – because it’s an environment that kids create themselves. Established for older children ages 7 and up, it offers a safe environment for kid to explore and take risks. Hammers and nails can be checked out to build huts. Paint is available to paint the huts – or anything else they might find, and a garden area is available for those who want to dig in the dirt. 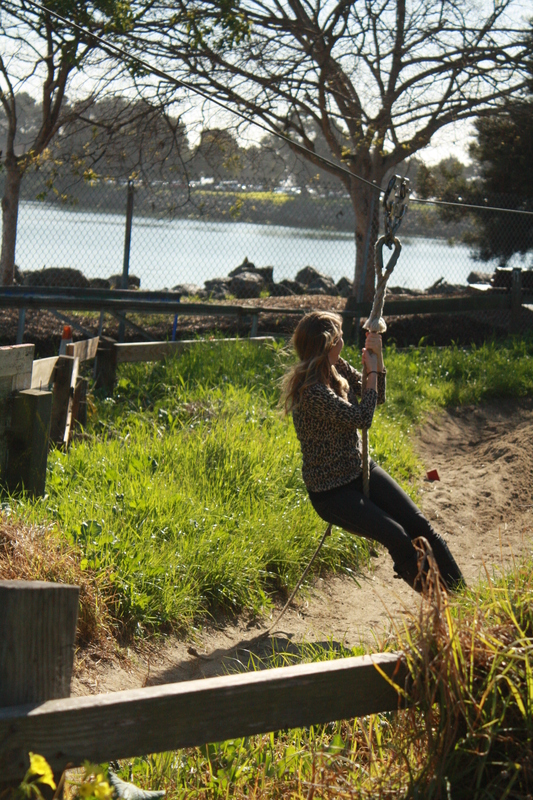 A rope swing around a may pole, and a dirt hill with old tubing for rolling down it are there for the more daring. And – best of all – there’s a zip line to play on! We arrived back at Fairytale Town at the end of the day both tired and inspired by our adventure. A full day of play was just what we needed to get geared up for spring! None can deny that Dr. Seuss played with words. His rhymes and nonsense words made his stories original and fun. We were happy we could open our spring season with a celebration of his birthday on March 2. Lots of party guests arrived! At the end of the day 2650 people came through the gates. I think the first thing they noticed was the Truffula Trees. 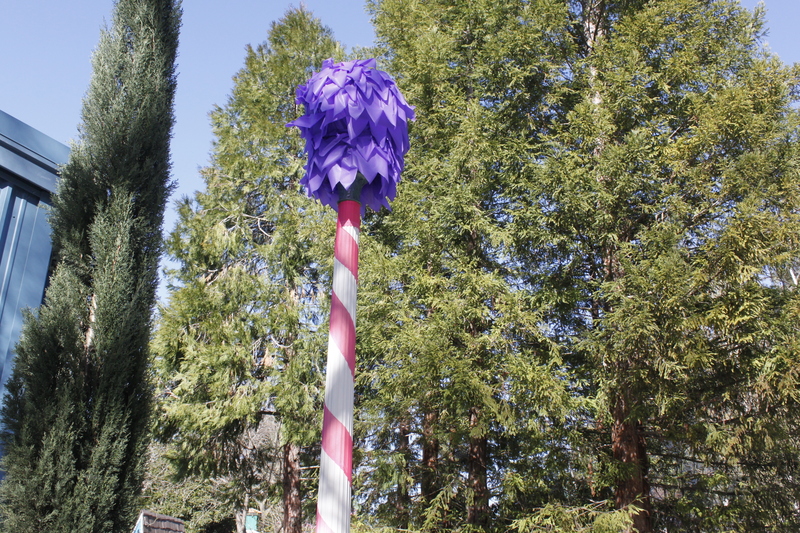 Our talented staff created brilliant truffula-top covers for the light poles around the park. It was fun to hear guests ooh and aah as a favorite storybook setting was transported into real life – if only for a day. Once inside, kids could make ‘Cat in the Hat’ hats, create rhyme books and plant Truffula seeds (dandelions) to take home and watch grow. Through these playful activities they developed the eye/hand coordination so important for reading, learned about individual letter sounds, and connected the dots between seeds and trees. Many guests congregated by the Mother Goose Stage where they could hear local dignitaries and celebrities read Seuss stories all day long. It’s not very often a child gets read to by their local councilmember or television anchor! Through this activity children and their family members were able to make important connections to their community. It was a good day of play. And it all started with a few simple words! Not everyone can say they are refurbishing a forest. But that’s what we’ve been working on at Fairytale Town. After a two-month renovation, Sherwood Forest re-opened last weekend. 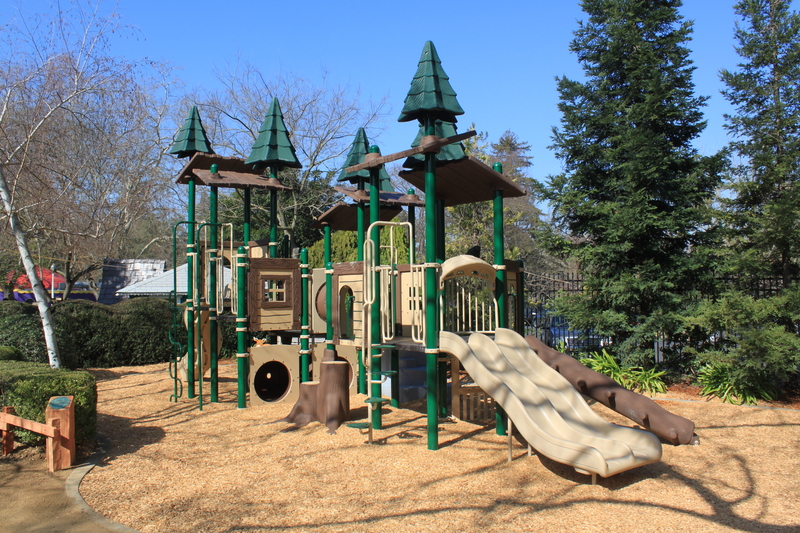 The new play set has activities for children ages 2 and up including slides, climbing apparatuses, a talk tube and a telescope. Sherwood also has a refreshed birthday party area as well as new hand-made chairs, animal sculptures and landscaping. 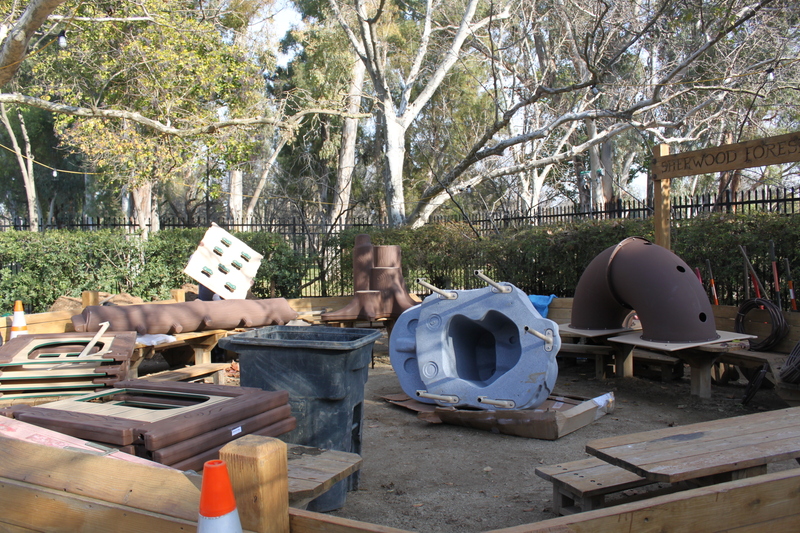 The renovation actually began last year when the old play structure was starting to show signs of wear. (It isn’t easy being exposed to the sun, rain, wind and 230,000 annual visitors!) A task force was formed to head up the renovation project and designs were sought from four different playground designers. In the meantime, a search for funding was underway. A design was selected. Applications for building permits were submitted and construction plans were approved. The old set was demolished and the new one erected. Three inspections were made to ensure the structure was sound. Cash and in-kind donations were received and acknowledged. New chairs and fencing were built. Holes and trenches wee dug and new plants and irrigation were installed. 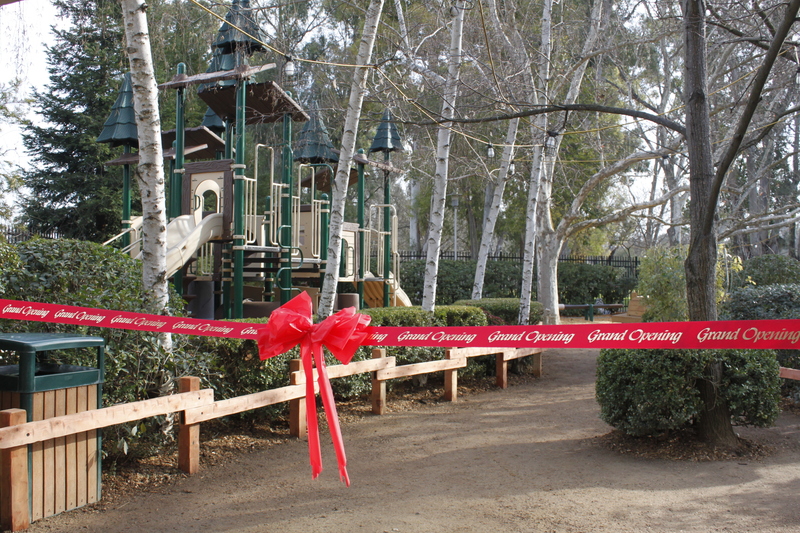 A re-opening ceremony was held and the ribbon to the new Sherwood was cut. Now the work is turned over to the children who visit us. It’s their job to play and imagine to their hearts content in the new Sherwood Forest. Judging from those who have played on it already, they are doing their job well – and happily!